think her long irons might be pro combo liao..
Michelle a fan of UST hor? Grace Park is coming out of retirement this week for a special farewell appearance in her South Korean homeland. Park, 34, will tee it up Friday in the LPGA KEB-HanaBank Championship at Sky 72 Golf Club’s Ocean Course in Incheon, South Korea. 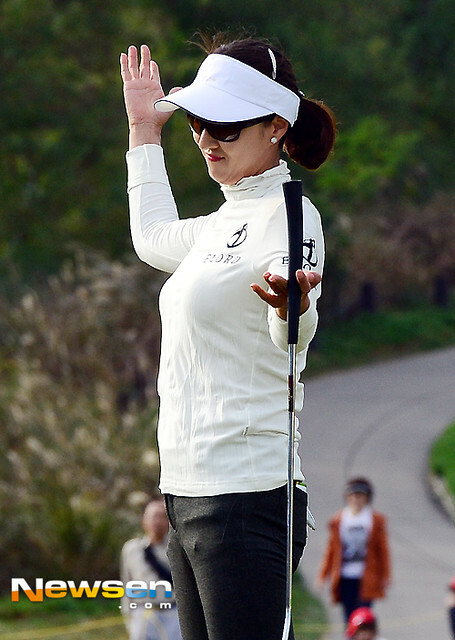 She will be paired with fellow South Korean legend Se Ri Pak and American Cristie Kerr. Park announced her retirement at the Wegmans LPGA Championship in 2012. She hasn’t played in an LPGA event since but was offered a sponsor exemption to play this week. She’s considered one of South Korea’s pioneers of women’s golf, having joined Pak, Hee Won Han and Mi Hyun Kim as trailblazers making impacts in the United States and internationally in the LPGA ranks. “It was a very sudden decision to participate in this tournament, so I was not able to prepare much,” Park Thursday said in a pre-tournament news conference. “Since my retirement, I haven’t gripped a golf club, but after deciding to play this game, I have practiced some. Park is a six-time LPGA winner whose titles include a major, the Kraft Nabisco Championship in ’04. A promising young star, Park’s family moved from South Korea to Hawaii when she was 12. She was the Rolex Junior Player of the Year twice. She was the collegiate women’s Player of the Year at Arizona State, where she helped the Sun Devils win an NCAA national championship. She won the U.S. Women’s Amateur in ’98. After turning pro, Park didn’t slow down. She won as a rookie. She won in each of her first five seasons on tour. She won the Vare Trophy for low scoring average in ’04. In ’05, though, the game got hard, thanks to a back injury. 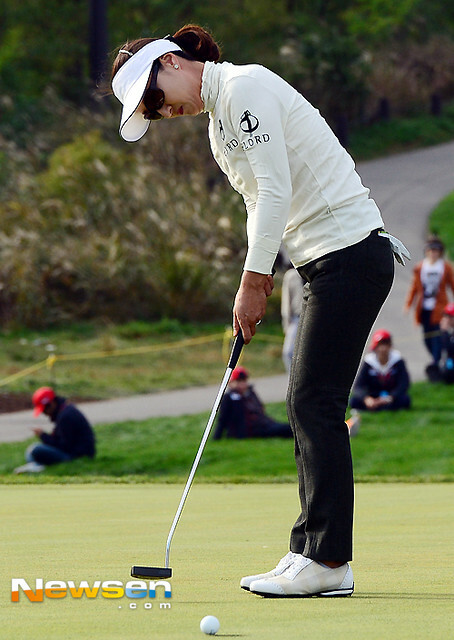 Park would also suffer through neck and hip injuries that derailed her game and her ambition. She married in November of last year and now lives back in South Korea, where she said she wants to start a family.